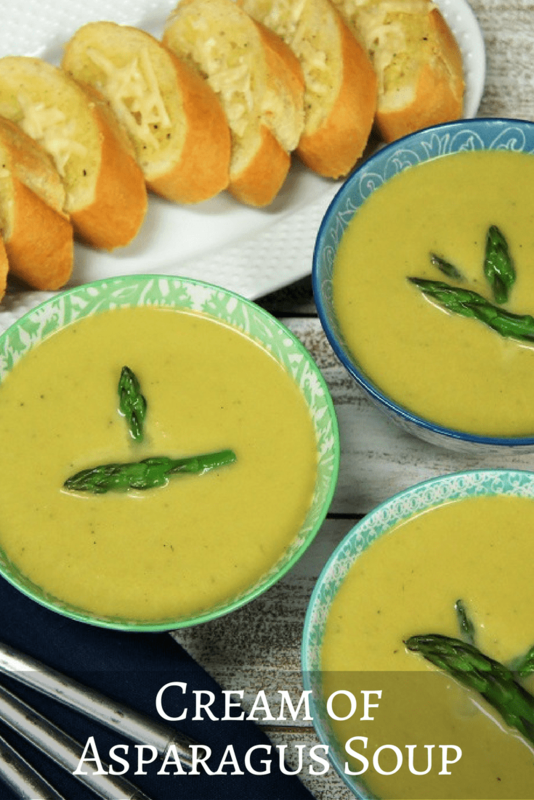 This Cream of Asparagus Soup is easy to make and uses simple ingredients so the asparagus really has a chance to shine. Once spring rolls around, asparagus gets really affordable, making this soup even better! 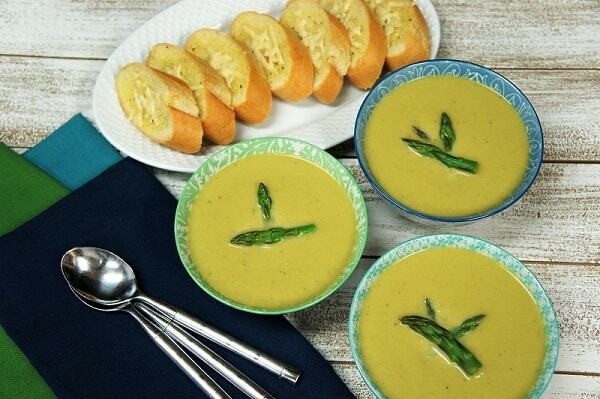 Serve the asparagus soup as a starter, or with garlic Parmesan toast, for a light, delicious dinner. Enjoy! Trim the tough asparagus ends by bending the spear, holding the bottom end and the middle. Apply a little pressure and the tough end should snap right off, discard the tough ends. Cut the asparagus into roughly 2 inch pieces and reserve about 1/3 of the tips for garnish, if desired. In a large pot, heat the olive oil and butter over medium heat. When the butter is melted and foamy, add the onions and celery. Cook gently until the onions are translucent, about 3 minutes, stirring frequently. Add the garlic and oregano, cook 1 minute, stirring frequently. Add the asparagus (all but the reserved tips, if using) and the chicken broth. Raise the heat to high; bring to a boil, lower heat to medium-low and cover. Cook simmering for 20 minutes, until the asparagus is very tender, stirring occasionally. If using the asparagus tips for garnish: prepare a bowl of ice water and set aside. Bring a small pot of water to a boil. Add the reserved asparagus tips and cook for 1 minute. Drain the hot water, and immediately plunge the asparagus tips in the ice bath. When completely cooled, drain and set the asparagus tips aside. When the asparagus soup is done, remove the pot from the heat. Process the soup with an immersion blender in the pot. If you do not have an immersion blender use a blender. Do not fill the blender to the top with hot liquid, process in batches. 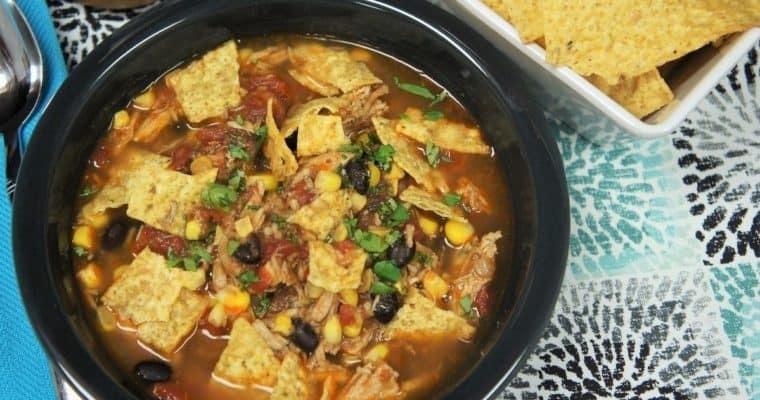 Add the half & half to the soup, stir to combine well. 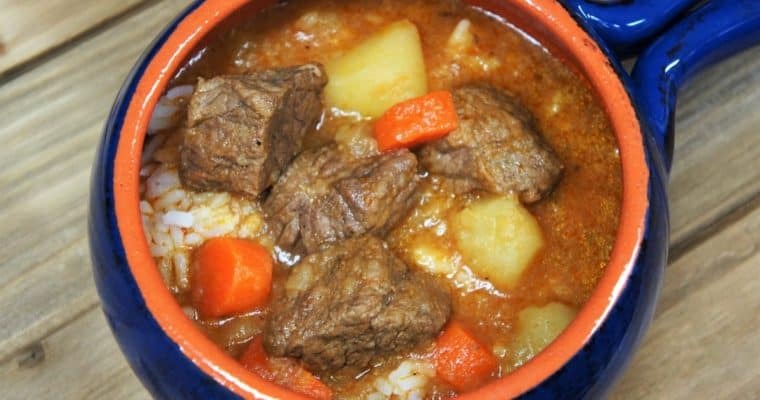 Return the pot to low heat and cook gently until warmed through – do not let the soup come to a boil. Taste the cream of asparagus soup and add pepper and salt, only if needed. Garnish each soup bowl with the reserved asparagus tips. In a bowl, combine the olive oil, softened butter, garlic, salt and pepper. Stir with a fork until well combined and creamy. Set aside. Slice the baguette into rounds or at an angle. Arrange the bread on a baking sheet. Brush the bread with the prepared garlic-butter on one side. Bake the bread for 10 minutes or so. Remove the toast from the oven and add a pinch of the parmesan cheese to each piece. Bake for another 5-7 minutes, until the parmesan cheese is slightly melted and the bread is lightly golden brown. Remove the toast from the oven and set aside until ready to serve.